[PDF] Rehabilitation Goal Setting: Theory, Practice and Evidence (Rehabilitation Science in Practice Series) | Free eBooks Download - EBOOKEE! 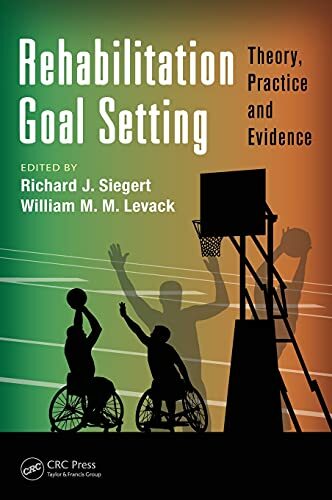 Description: Written to provide clinicians, educators, researchers, and students in rehabilitation with a comprehensive overview of the theory, practice, and evidence base of goal setting, this first-of-its-kind reference provides an authoritative, state-of-the-art knowledge of the practice. The authors cover a broad range of different approaches to goal setting, with input from experts from North America, Europe, and Australia. This book is applicable to patients with stroke, traumatic brain injury, neurological disorders, spinal cord injury, and other conditions. No comments for "[PDF] Rehabilitation Goal Setting: Theory, Practice and Evidence (Rehabilitation Science in Practice Series)".